A sense of duty drove Gunner Kincaide’s twenty years of service as a Navy SEAL and after his Pops had a stroke, that same sense of duty drove him back to Half Moon Bay to help his old man run his bar, The Wayward Walrus. He meant to surprise Pops with the news he’d retired and was home to stay. It didn’t exactly work to plan. Pops had hired a tiny fireball by the name of A.J. Erickson. Before she’d even learned his name, A.J. managed to sic the local police on him, drown him in dirty mop water and crush his privates, and to his chagrin, she wasn’t going anywhere. Pops had sold her twenty percent of his bar. After she healed enough to leave the east Texas hospital and testify against her ex-boyfriend, A.J. packed up and drove west. Answering Silas Kincaide’s help wanted ad seemed an answer to a prayer. The old gentleman needed her skills and it didn’t hurt they got along like a house-a-fire. She settled in and made Half Moon Bay and the Walrus her home. After the physical abuse she’d suffered in Texas, she’d honed her ninja skills and though tiny, she stood her ground and defended the Walrus from a trespassing, six-foot-four, muscle-bound, hulk. When Silas introduced the hunched over male, the one cradling his balls, as his son, Gunner, she about died from mortification. Things went downhill from there. 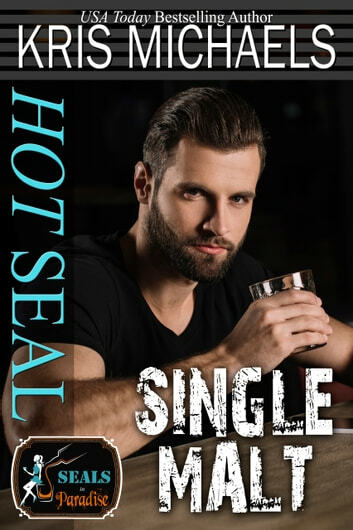 What’s an ex-SEAL to do when a diminutive fireball worms her way past all the bruises she’s inflicted and into his unwilling heart? As usual this wonderful lady has delivered yet again an outstanding story. Love her books. They are funny, romantic with lots of action. Looking forward to the next one. Found this a funny enjoyable story to read. Nice characters, (mostly) and easy to follow. Have read a few in this series. Different authors different stories. Enjoyable.